Have you heard of THG Paris? 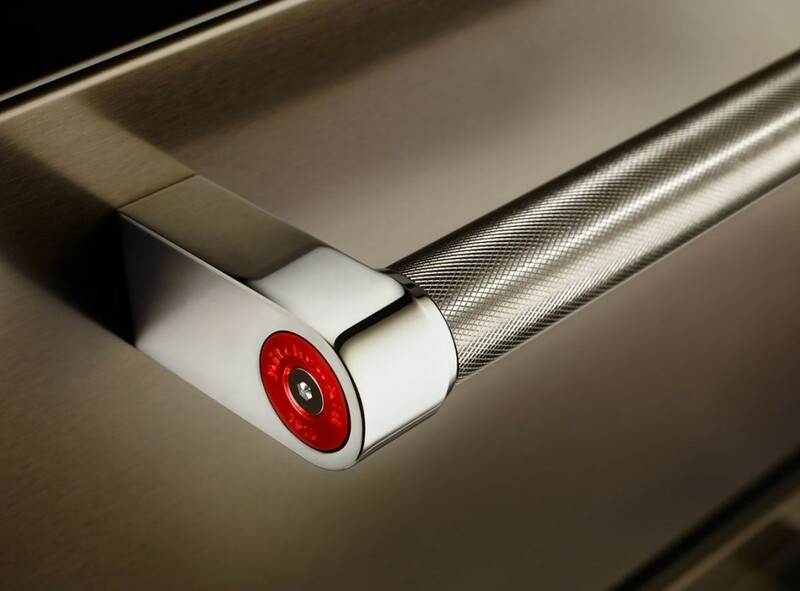 THG Paris is a line of exquisite French bathroom fittings and accessories. 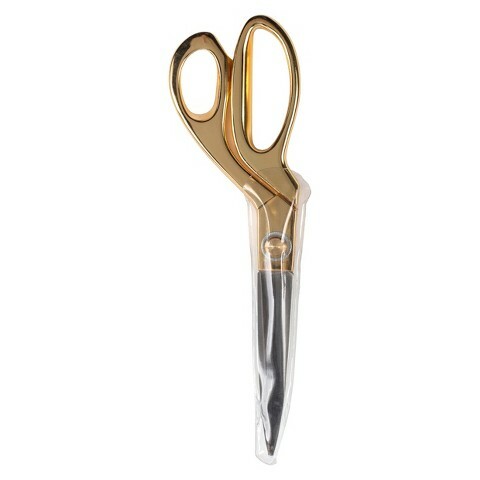 THG Paris combines both beautiful French craftsmanship with quality design. 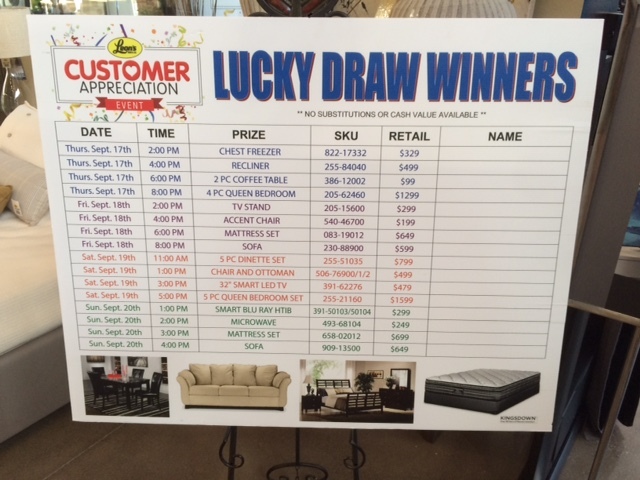 The brand offers sixty years of experience in creating beautiful finishings for your home. THG Paris has a huge focus on decadent materials, from Swarovski crystal embellishments to Gold, Rose Gold and Rhodium finishing. 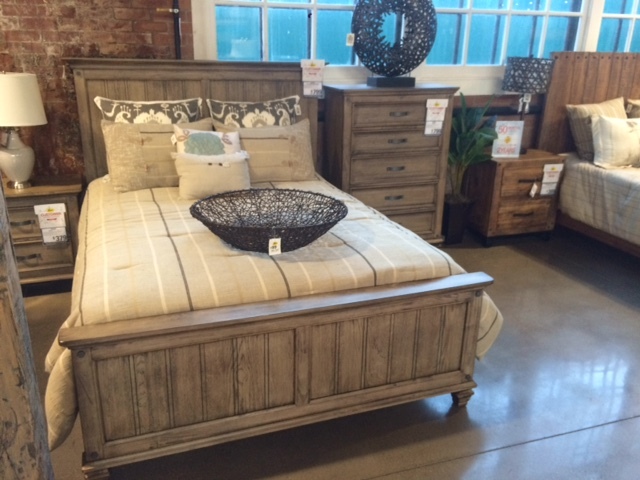 Every piece is hand finished by skilled craftsman and artisans. 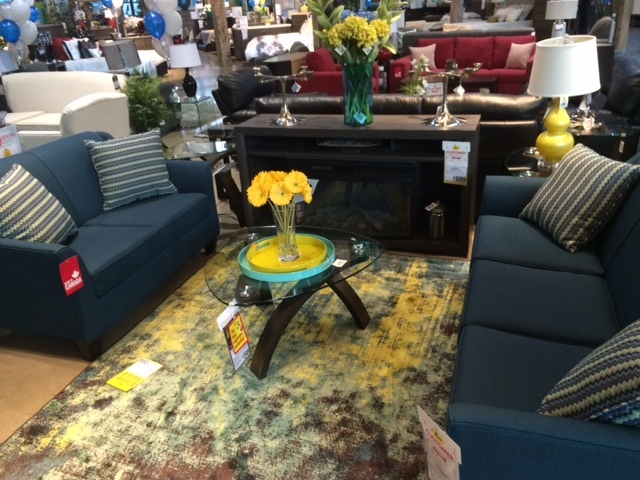 Check out their jaw-dropping line of finishings, exclusively at Ginger’s! 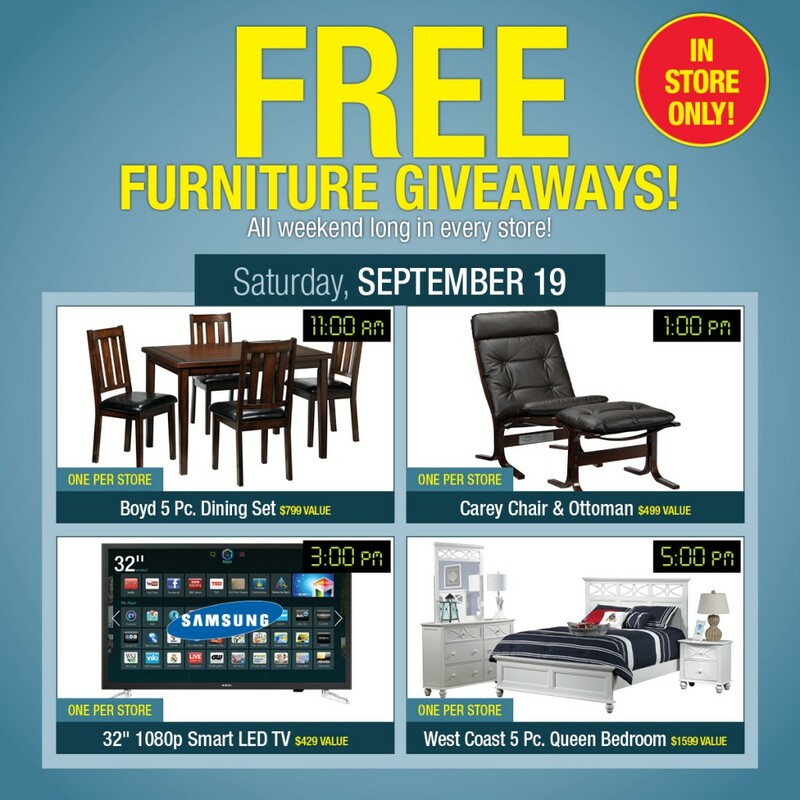 The Canvas Collection from Canadian Tire has provided some great design inspiration this last year. 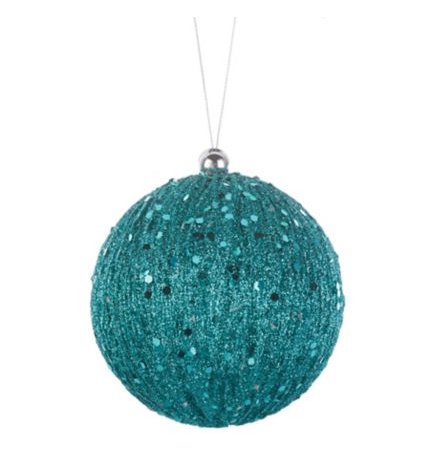 From basics for your living room and kitchen, to beautiful holiday decorations. 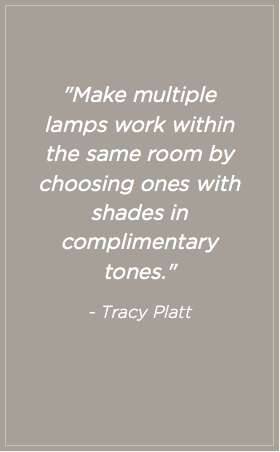 This spring it’s all about bringing light into your space with the all new lighting collection from lead product developer and style & design expert Tracy Platt. 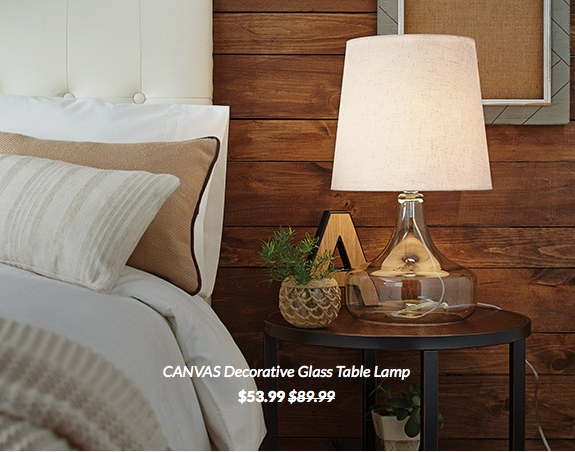 The team at Canadian tire has done an amazing job this season of creating classic, modern lamps for every room. 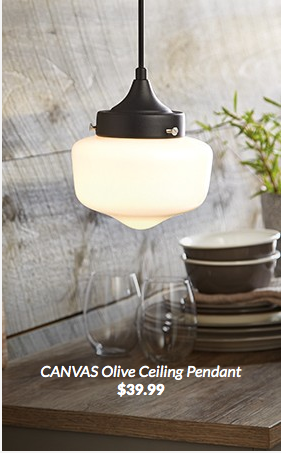 Clean lines, simple colors, and shapes that catch the eye – these lights are anything but boring. Here are some of my favourite designs from this season’s collection. And a few of my favourite design tips from Tracy Platt. I think Tracy is right on with her style tips for this season. 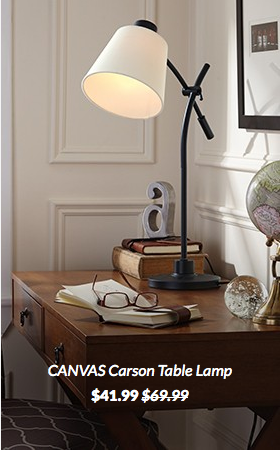 By not settling for just one lamp style you create interest wherever the eye is drawn, plus for more open spaces it can help create a sense that you’re stepping into a different space just by setting with different lighting. 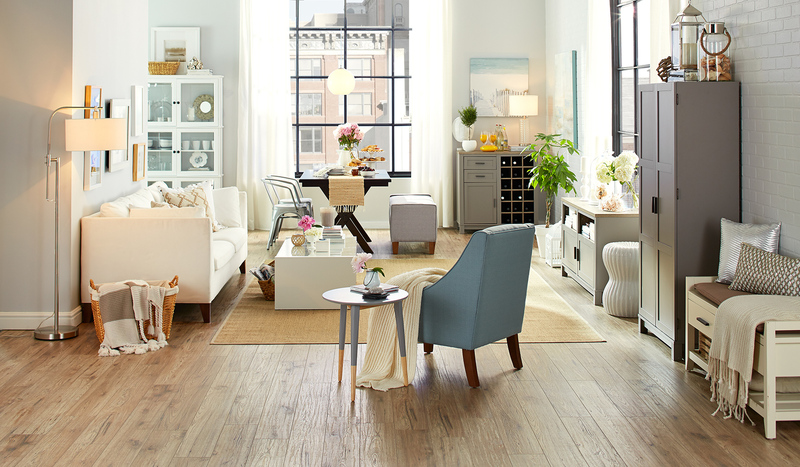 Change up your lighting to help freshen up your space and to brighten up a room. 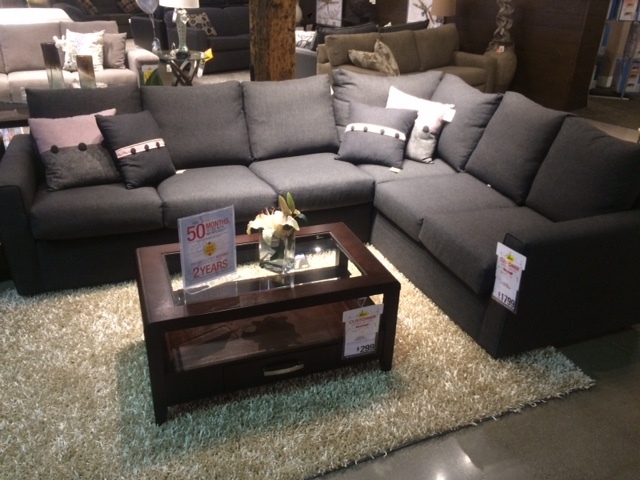 With the new collection from Canvas I’m sure you’ll find something to compliment your space, whatever your style. 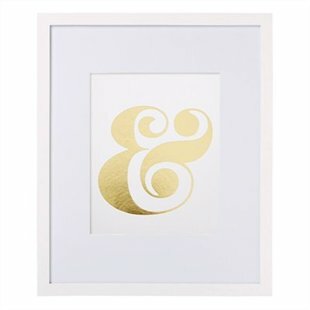 Have a favourite piece? 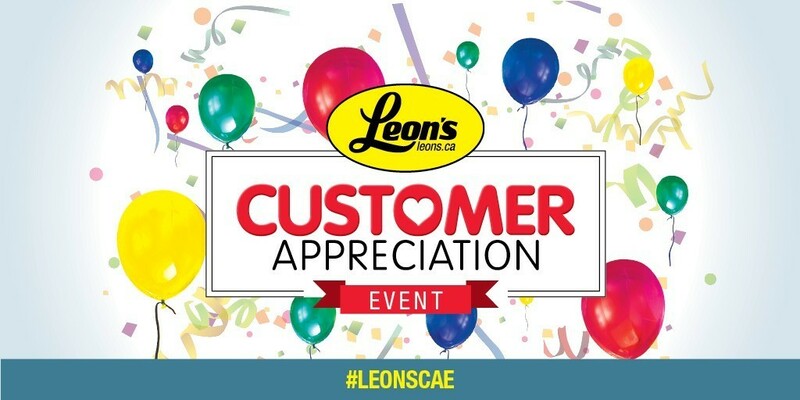 Share it with me in the comments. 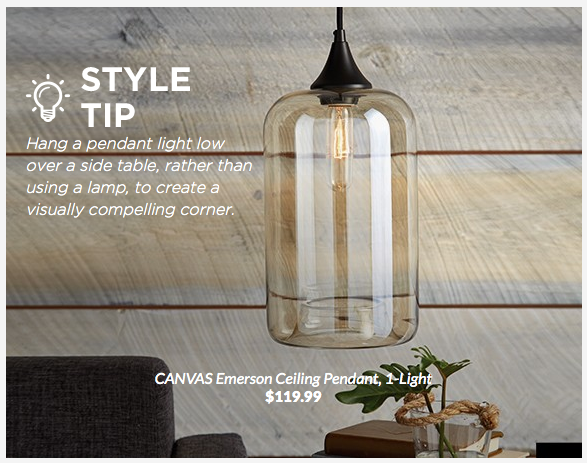 And check out CanadianTire.ca for more design inspiration and to see the whole Canvas lighting collection. 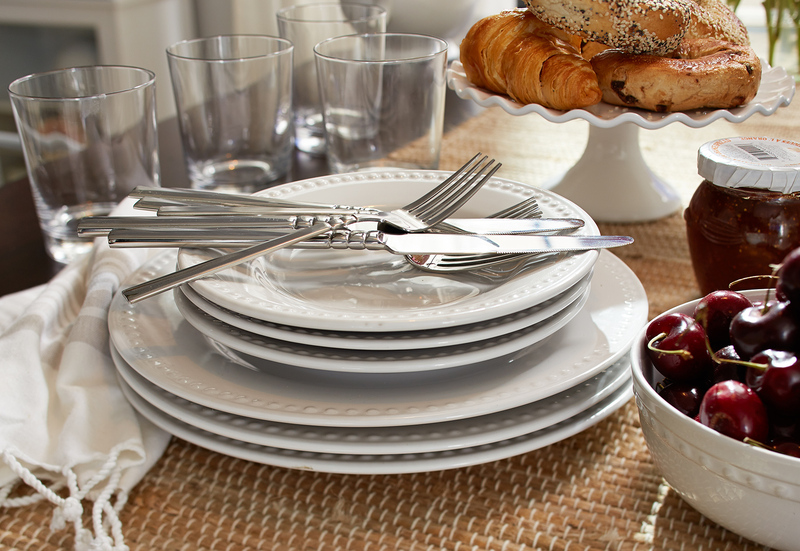 With Christmas just around the corner, I’m getting excited for entertaining friends and family! 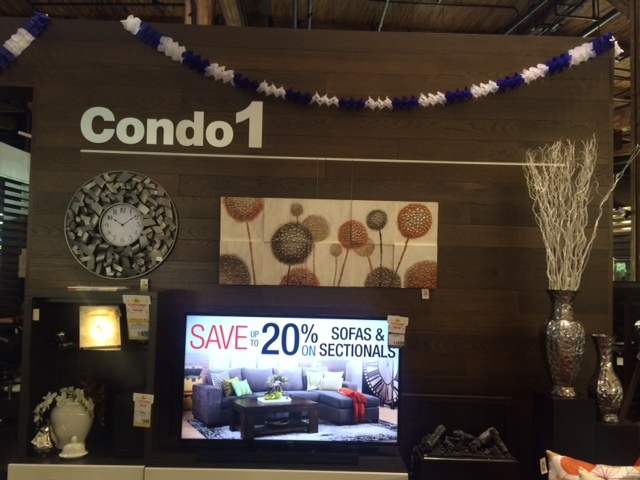 I swung by Canadian Tire to pick up some decorations for my holiday table. 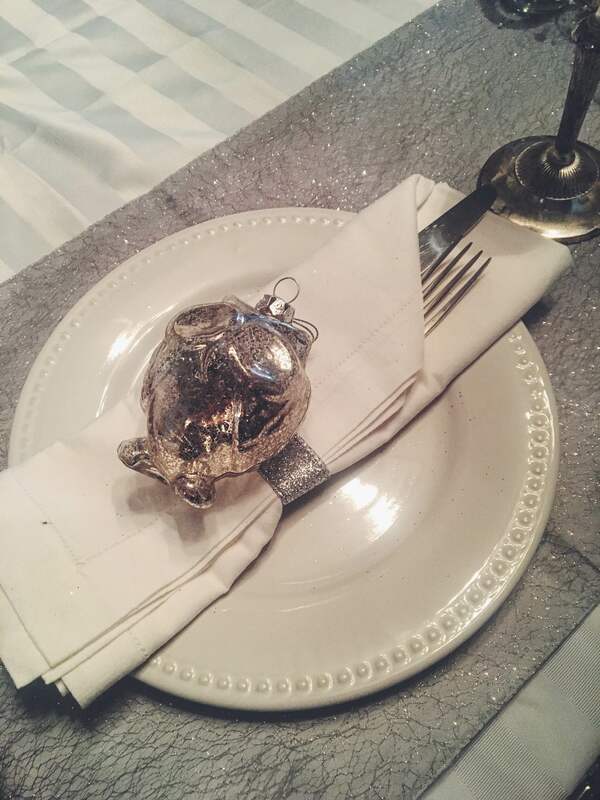 I’ll be entertaining several groups of friends and family so I’m really looking for a tablescape that everyone would love! 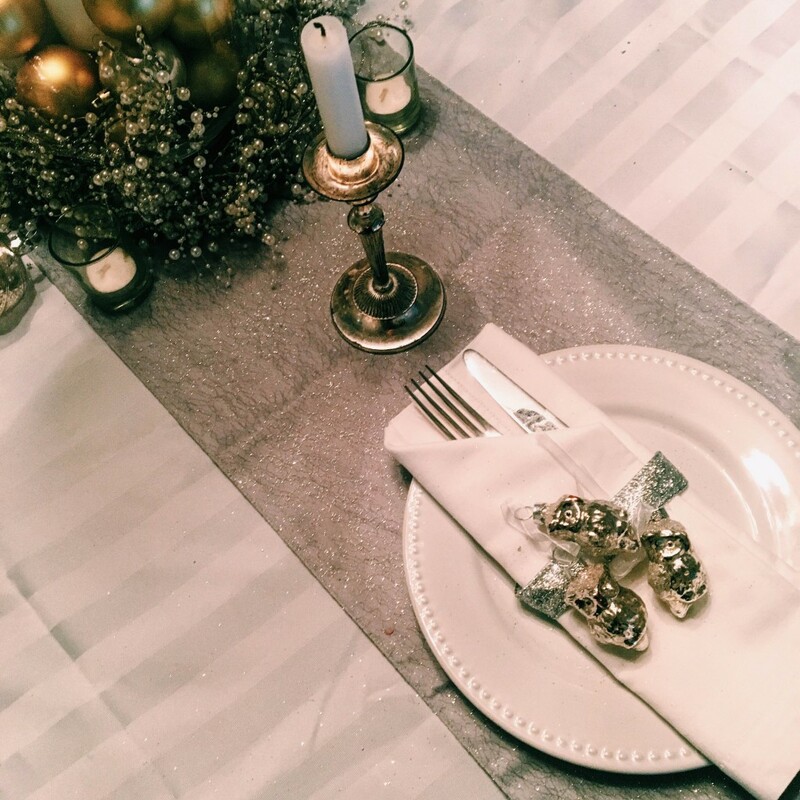 I swung by Canadian Tire to get the creative juices flowing and found so many wonderful decorations that would be just perfect for my tablescape! 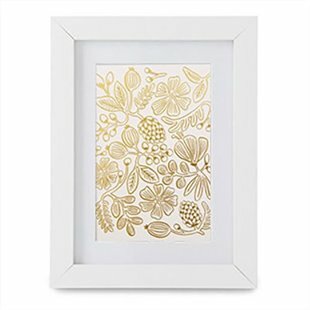 Canadian Tire’s new CANVAS collection has so many great decorations to glam out your holiday table. 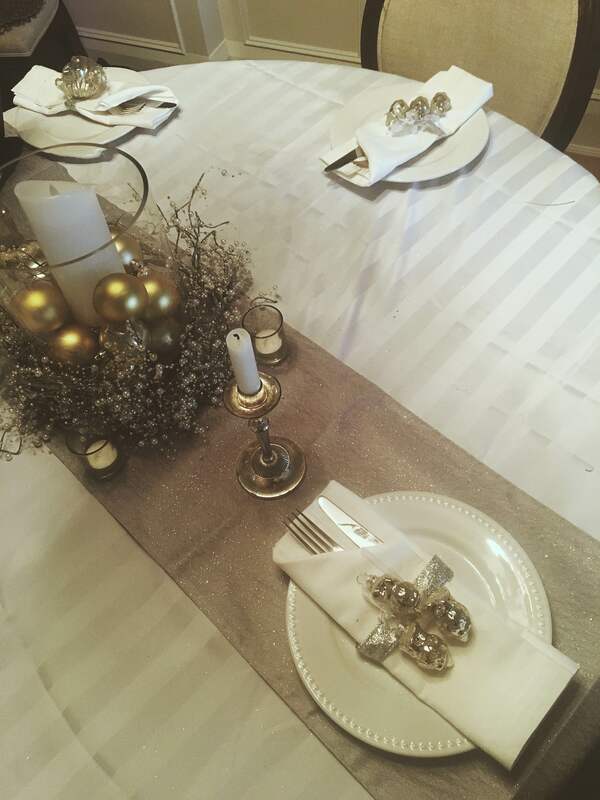 I started off with a crisp white tablecloth and laid the CANVAS Holly Holiday Silver Table Runner over the middle. 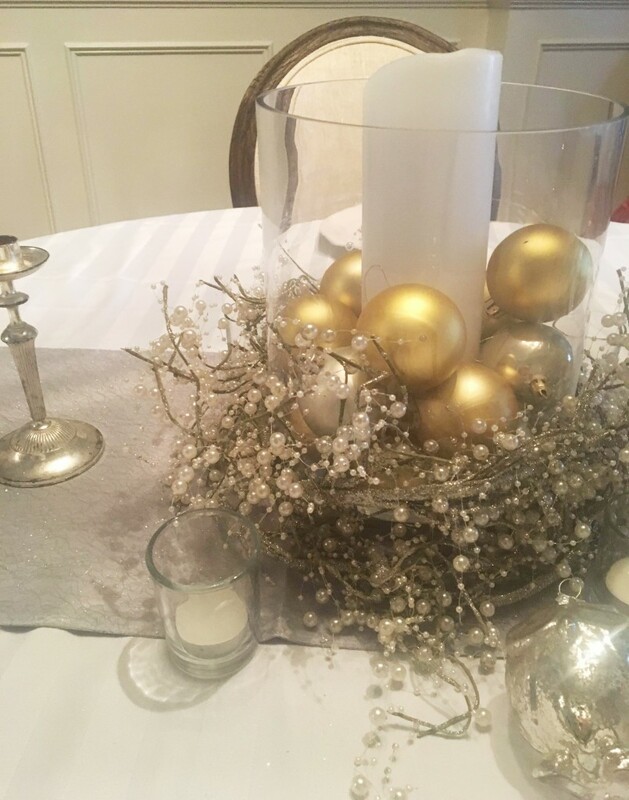 This festive runner works wonderfully on a round table like mine or a rectangular one! Pro tip: add any extra CANVAS ornaments you have to a large bowl or use them as decorations on your charger! 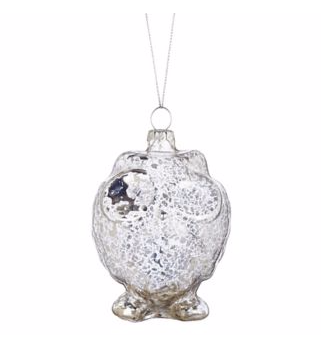 This CANVAS owl ornament is festive, but without being uber-Christmasy! 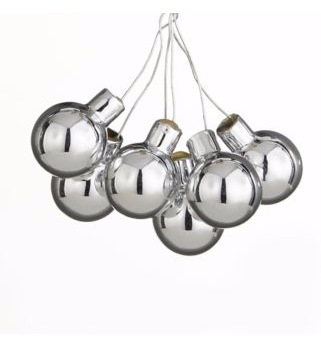 These CANVAS silver glass cluster balls would look wonderful on your table. 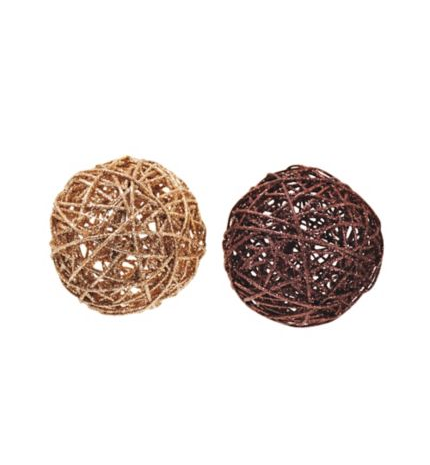 Lace them with silver ribbon to create a low-key centrepiece! These are the items I will be adding to my desktop. Next on my list is these gorgeous file folders! There are 2 options: dots and stripes. I love them both, though I believe I will see the stripes as my primary folder. 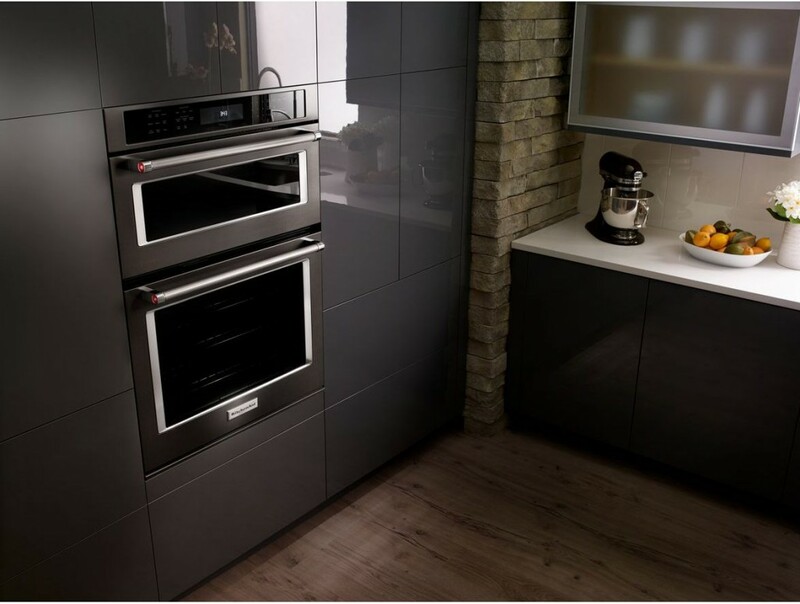 Last week I shared with you some of the great features about the KitchenAid Multi-Door Fridge and the Black Stainless Suite. And this time I wanted to share something that will save you time in the kitchen. 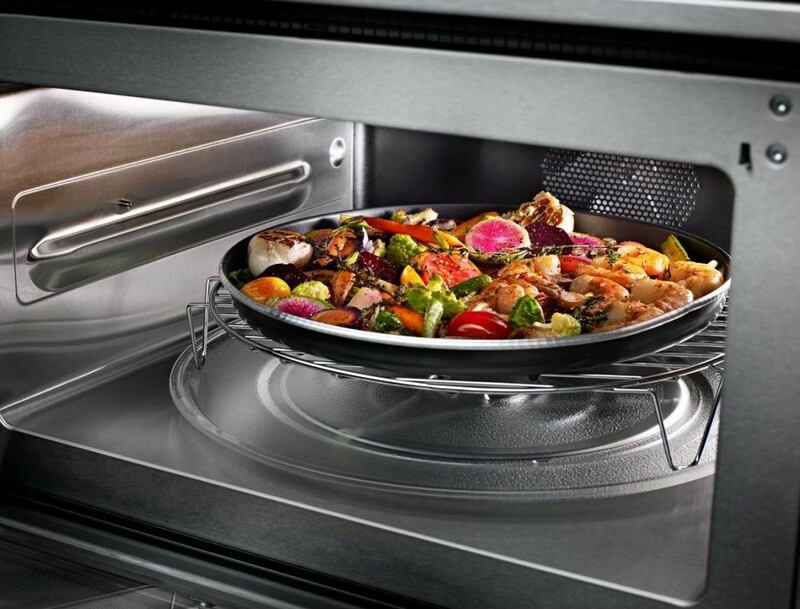 The wall oven with Even-Heat™ True Convection. 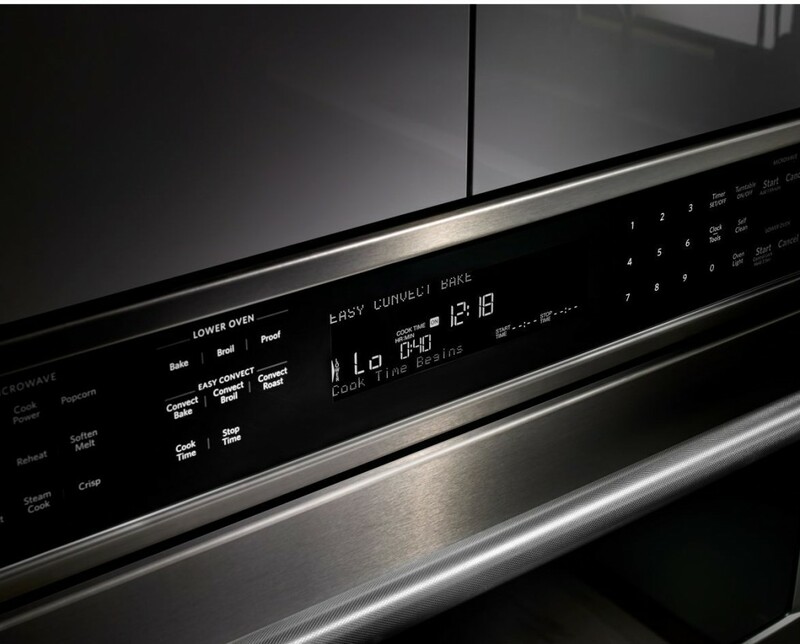 If you’re not familiar with convection ovens yet, unlike traditional ovens which rely on radiation from the oven walls to transfer heat into the food, convection ovens have fans inside that help circulate the air. 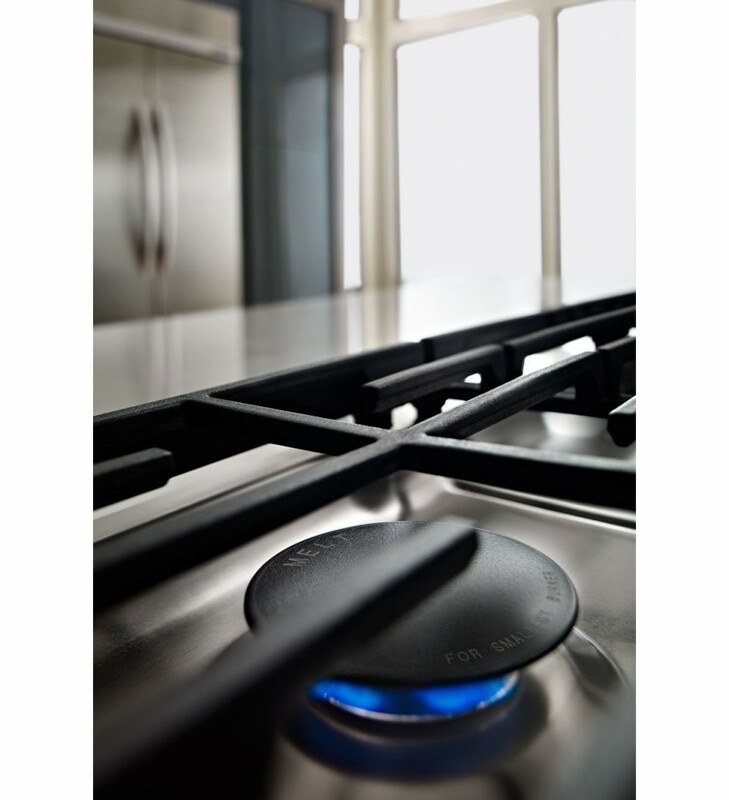 This means that the whole oven stays evenly heated and maintains a consistent temperature. Because of this it also reduces the time it take to cook your food. Less cooking = more enjoying. The top section of the combination oven is a 1.4 Cu. Ft. microwave. It’s 900 watts with a 1600 watt convection element to help you speed up your cook time. The convection oven comes in two sizes. You get 4.3 Cu. Ft. capacity from the 27″ oven, and 5 Cu. Ft. capacity from the 30″ oven. Both have plenty of room to allow for cooking multiple dishes at the same time (and the convection ensures they’re all evenly heated). 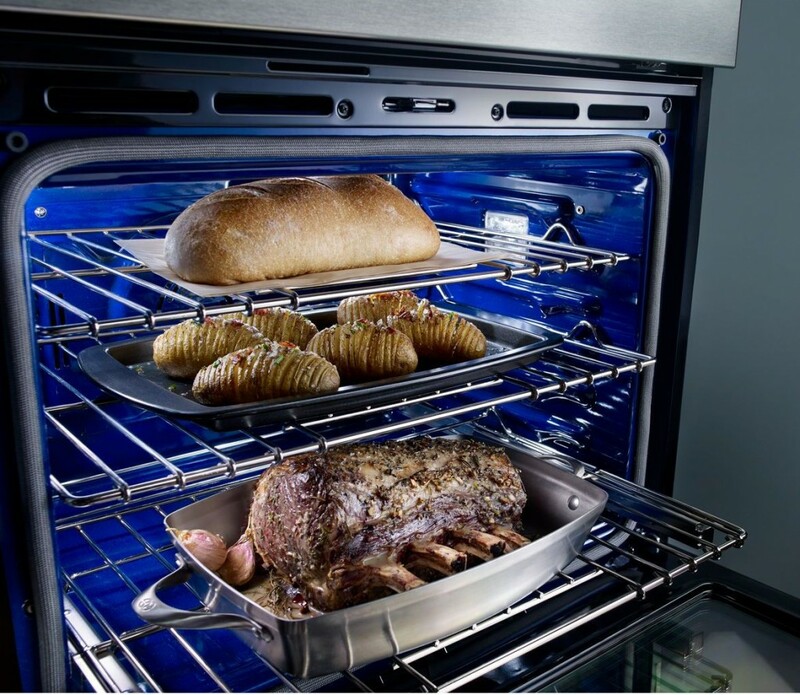 The bottom rack has a SatinGlide™ roll out, so you can comfortably remove large and heavy dishes from the the oven. 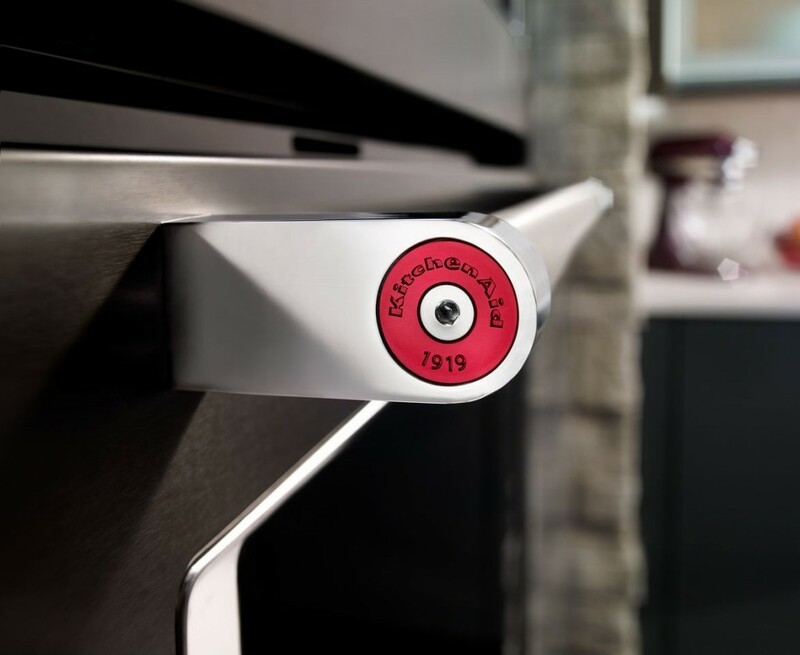 Because convection cooking takes less time, and can usually be done at a lower temperature, KitchenAid has added in an EasyConvect™ Conversion System. With the press of a button you can convert your regular bake temperatures and times for convection cooking. No guess work, or checking the oven to make sure the food isn’t overcooked. Which means your food will come out perfect every time. 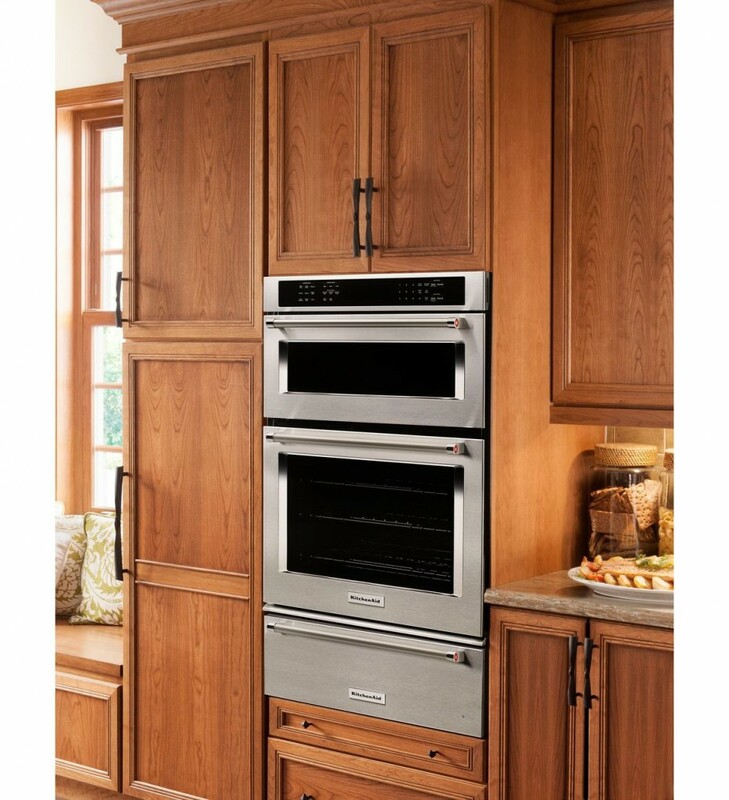 Like the other newest appliances from KitchenAid, the oven features satin cross-hatch handles, that are inspired by professional kitchens, and are easy to grip, and easy to clean. And the red KitchenAid Medallion, which is their mark of quality. 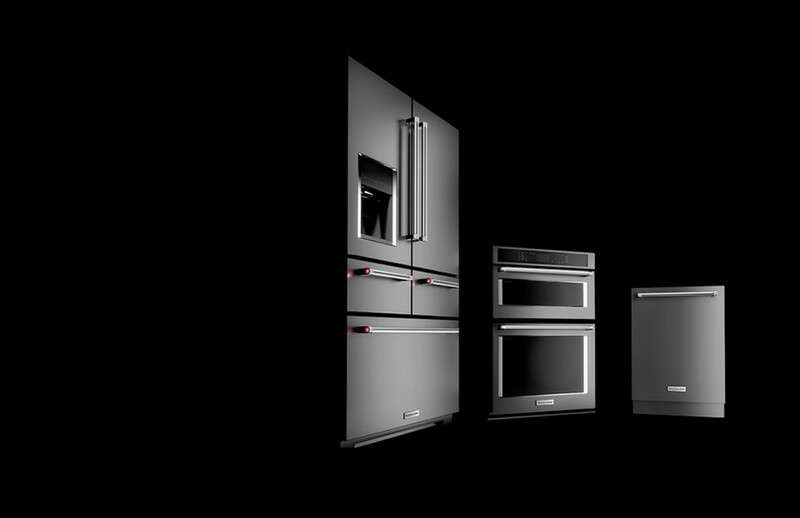 The oven is available it the newest Black Stainless, regular stainless steel, and white. So whatever your kitchen style is, there’s an oven to match. 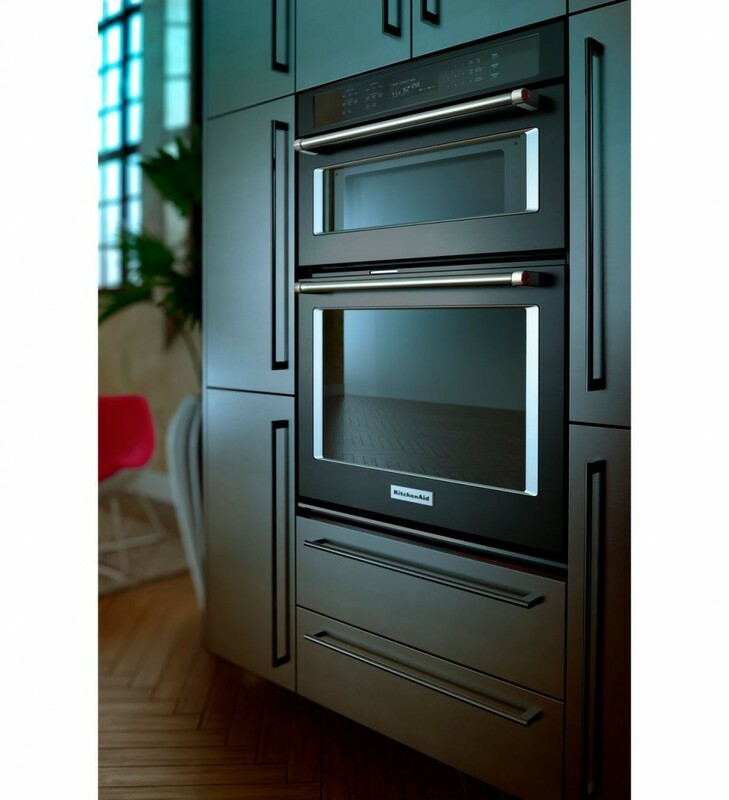 To learn more about the features of the Combination Wall Oven with Even-Heat True Convection visit the KitchenAid website, or find a retailer nearest you. 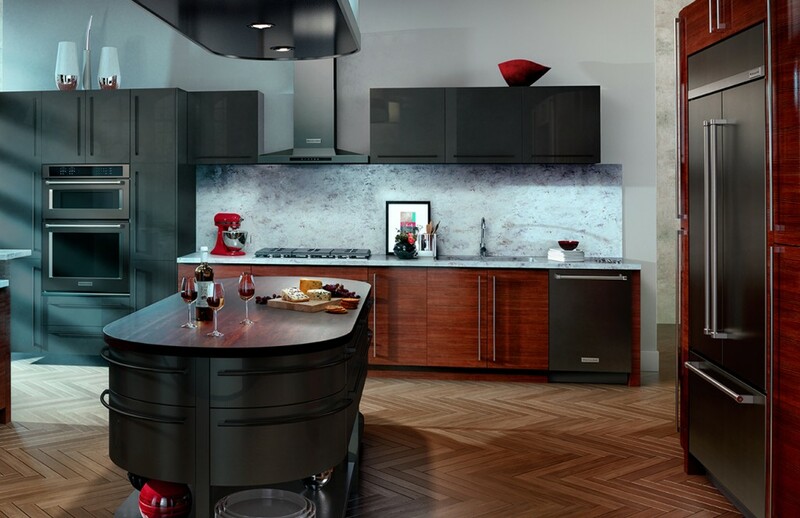 Recently I had the chance to check out the latest appliances from KitchenAid. 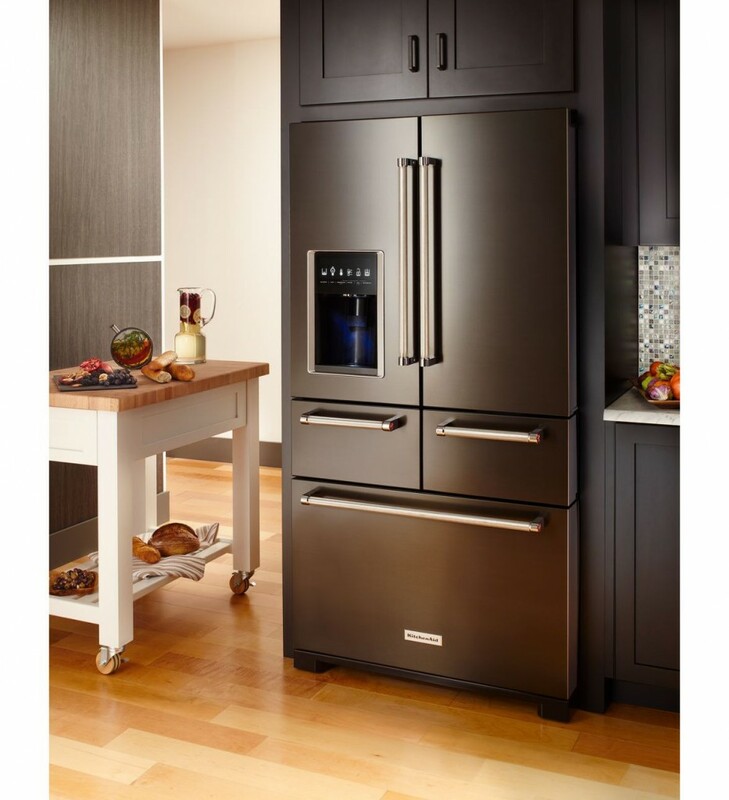 And while I talked about the Black Stainless Suite here, I also wanted to share more about their newest refrigerator: the Multi-Door Fridge. 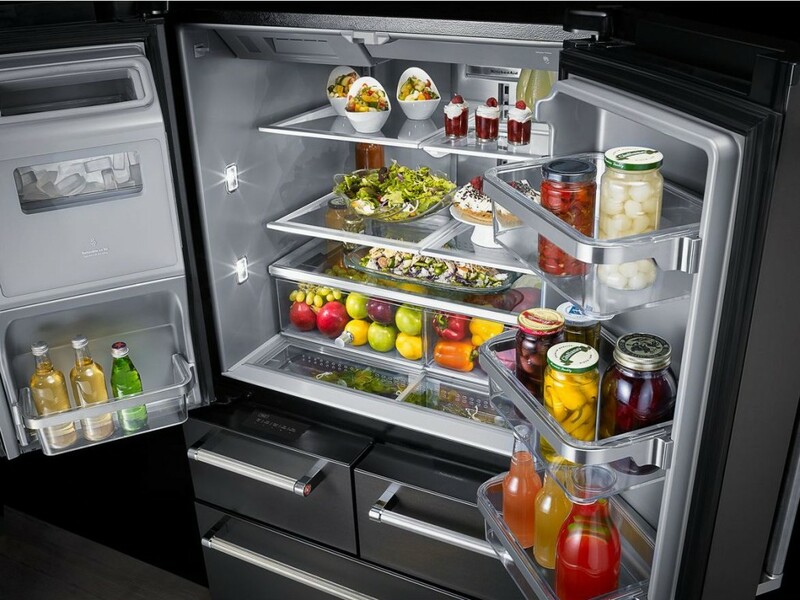 It has some incredible features, making it one the best looking, convenient, and efficient fridges out there. 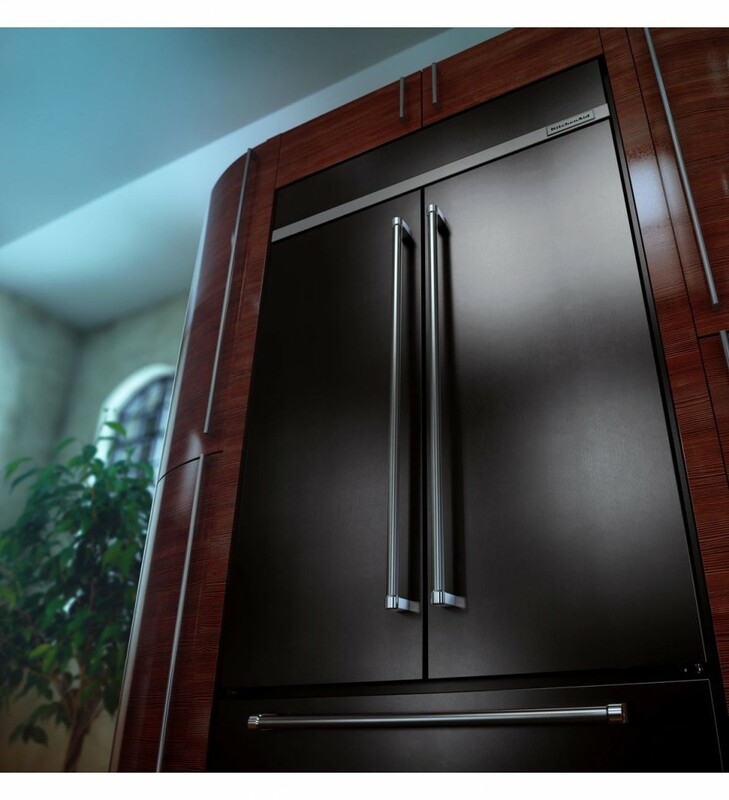 Its stainless steel doors are easy to clean and come in regular stainless steel, or their newest black stainless (which looks incredible next to dark brown cabinets). 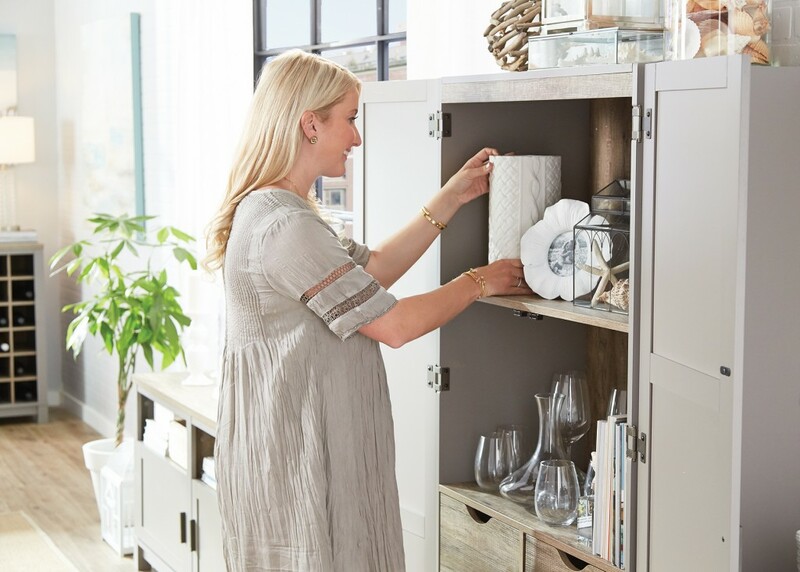 The fridge handles are a satin cross-hatch, which makes them easy to grip, but still easy to clean. They also feature the red KitchenAid Medallion. 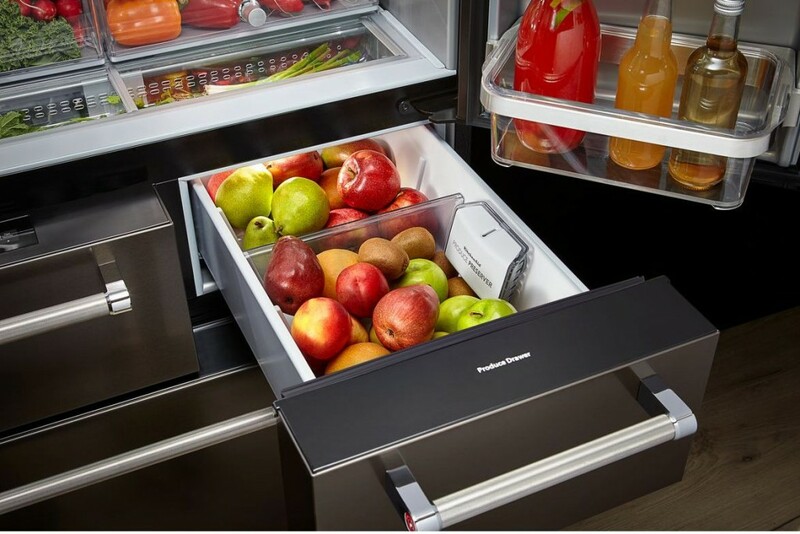 KitchenAid fridges have independent cooling systems. One for the fridge, helping to keep food fresh longer. And a separate system for the freezer. This increases the fridge’s efficiency. Plus to help minimize odours, they have The FreshFlow™ Air Filter. Plus the Produce Preservers can help delay over-ripening of your fruits and veggies. The 5-door configuration is the first of its kind. It keeps food fresher, longer, by separating your food. 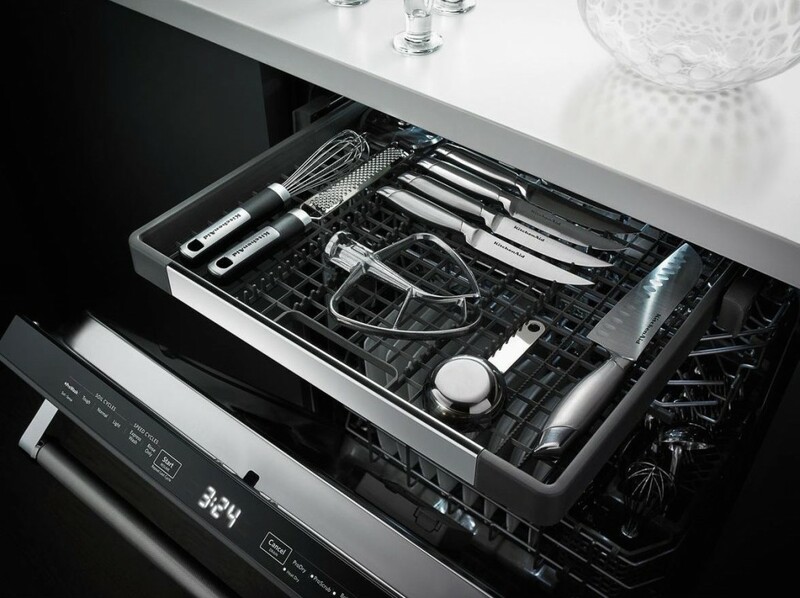 The 2 soft-close drawers optimize your storage, and keep food at the perfect temperature. The left drawer has 5 pre-set temperatures: meat/fish, drinks, greens/herbs, deli/cheese, thaw/marinate. The right drawer is perfect for fruits with its Produce Preserver. And just when you were thinking, “that’s a lot of storage,” it doesn’t stop there. There’s an herb drawer in the main part of the fridge, to keep all your herbs fresh and full of flavour. And the large freezer has 3 levels, plus a divider on the lowest level. No more digging through the freezer, freezing your hands! 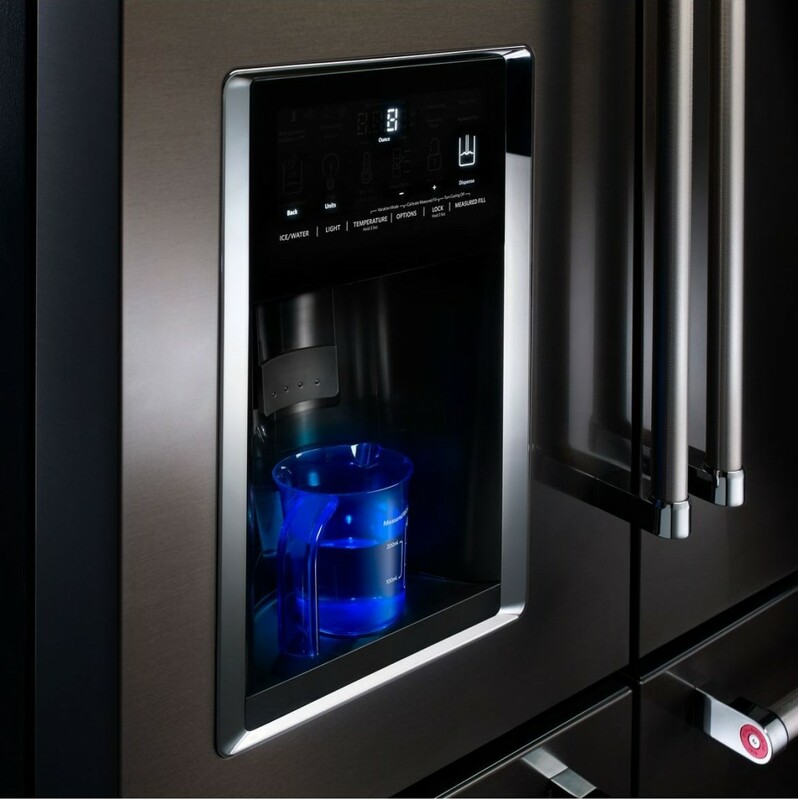 The water and ice dispenser are on the outside of the fridge, minimizing the need to open the fridge door. The water dispenser is also programmed to pour out specific measurements in ounces, cups, or litres! You can also program it for the exact amount of water you need for you coffee machine or water bottle. It’s the little attention to details like this, that make this fridge so amazing. The inside of the fridge and freezer are lit with LED lights. 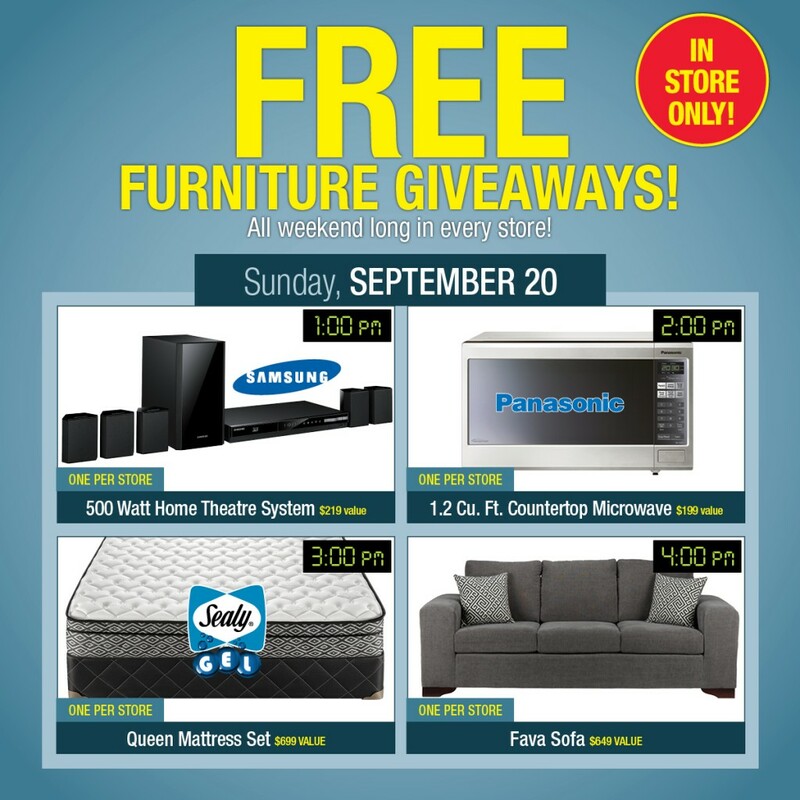 Making it easy to find anything you need. 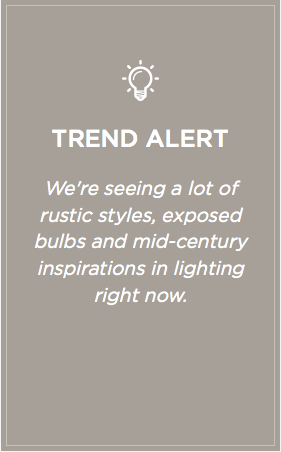 They’re also energy efficient and never need to be replaced. 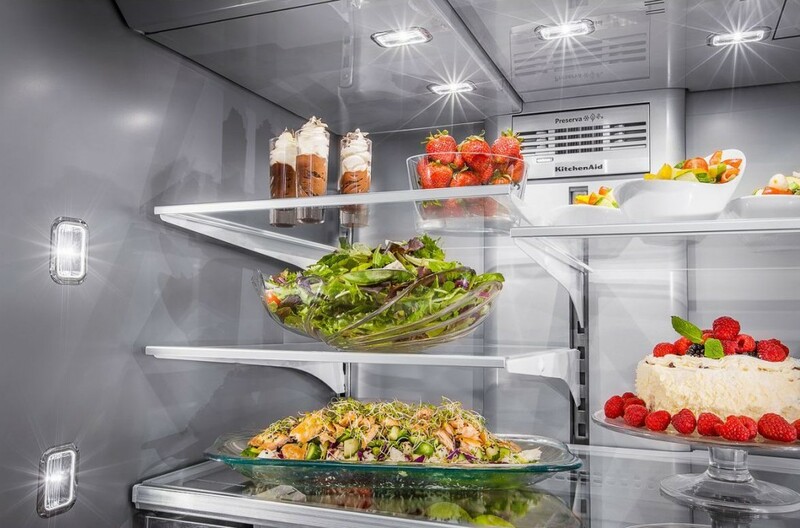 You can view all the details about the Multi-door fridge by visiting their website: kitchenaid.ca or find a retailer near you. 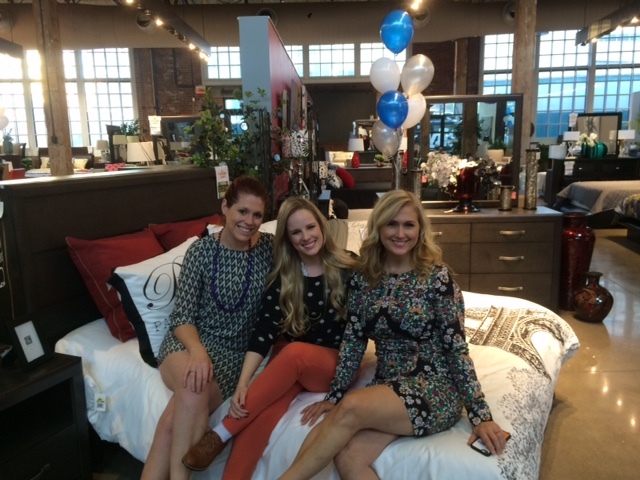 Join us for a #myCANVAS Twitter Party and get some great inspiration for your home from Monika Hibbs! Hey Buddy!, I found this information for you: "The #HauteCouture of Faucets". Here is the website link: http://shesinfluential.com/2016/03/01/the-hautecouture-of-faucets/. Thank you.